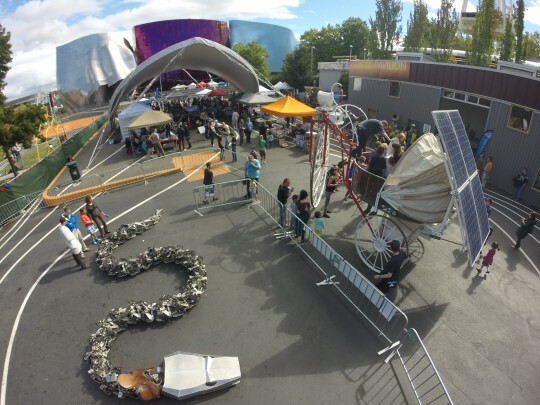 Titanoboa will be at Maker Faire Vancouver with other eatART creations! 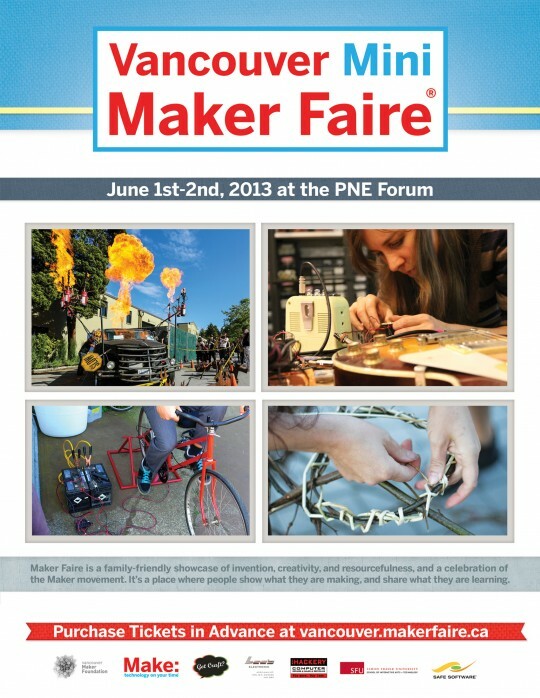 This Saturday and Sunday, 10am-6pm at the PNE forum. Titanoboa helps ring in the year of the snake! Titanoboa is making an appearance at Vancouver’s Chinese New Year Parade on Sunday Feb 17th! It’s the year of the snake! The parade starts at 11am at the big arches on Pender st. and we’re doing the first part and then slithering off into the Sun Yat-Sen Garden Courtyard to meet the another 40 ft snake woven out of willow branches. Titanoboa & Mondo Spider Rock CES in Vegas! Jan 2013 – Titanoboa and the Mondo Spider hit Vegas in a big way at CES. Check out coverage by CNET, Engadget, and Popular Mechanics! Parts are cut for the final vertebrae to extend Titanoboa’s spine to 50 ft! - A full scale replica of the ancient beast killed off by prehistoric climate cooling. Tianoboa on Discover Channel Daily Planet! Titanoboa and creators Jonathan Faille and Hugh Patterson are featured on Discovery Chanel’s Daily Planet show!. 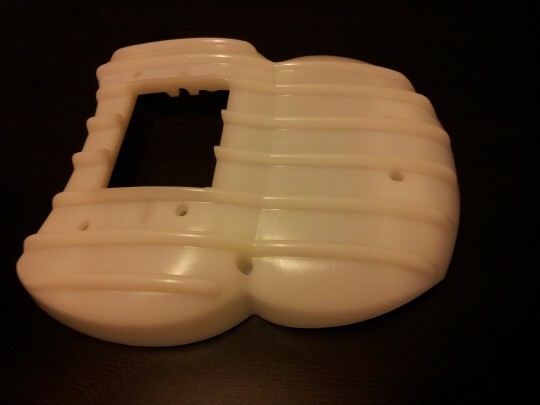 Titanoboa Scores Custom molded Scale donation from Proto Labs! 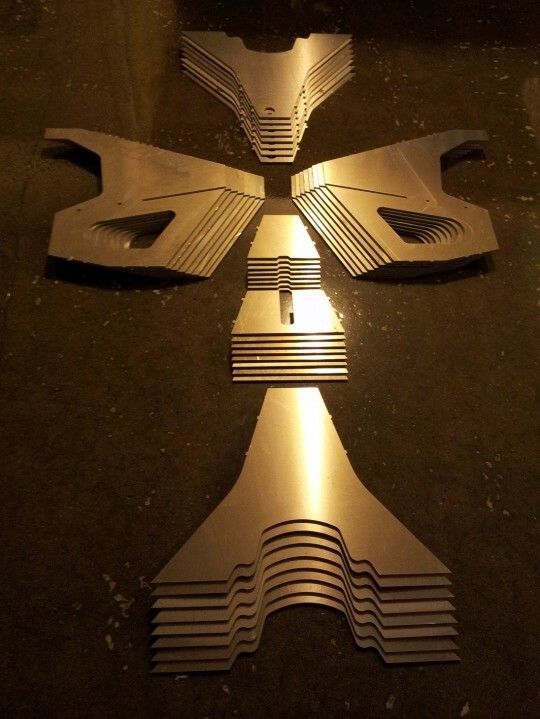 Proto Labs recently produced 100 of these super slick belly scales designed by Hugh Patterson that will help Titanoboa slide on all terrain! Read more here and stay tuned for action shots!